NEW PRODUCT- Speedsport's own single sided black foam tape. 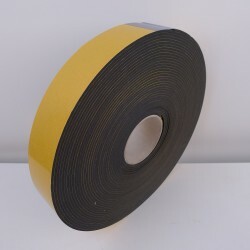 Our single sided, medium density black PVC foam tape is a strong protective tape with an acrylic adhesive; great for protecting against dust weather and air ingress and has superb general gap filling capabilities. It is black in colour and has a siliconised release paper for easy un-roll and application. While the tape sticks well to the area applied and is good for permanent adhesion, once removed it leaves very little adhesive residue behind! The tape is comes on a roll that is 20 is meters long for 3mm and 10 meters long for the 5mm tapes. These rolls are both 20 meters long. all these tapes are available via our ebay shop, or please call to order. Please message us first if buying from outside of the UK to get a quote for postage as postage costs will vary if you are from outside the UK.